United Nations: More than 10,000 children were killed or maimed amid armed conflicts worldwide last year, while others were raped, forced to serve as soldiers or caught in attacks on schools and hospitals, a United Nations report said Wednesday. A total of more than 21,000 violations of children’s rights were reported in 2017 with a sharp increase from the previous year, according to the annual “Children and Armed Conflict” report. The U.N. blames a U.S.-backed Arab coalition fighting in Yemen for at least half of the more than 1,300 child deaths or injuries recorded in that poor nation. 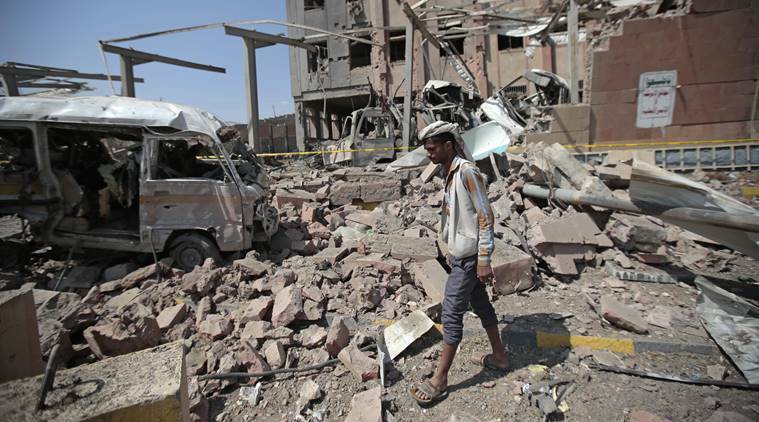 They were victims of aerial and ground attacks by Saudi Arabia and the United Arab Emirates on Houthi rebels opposed to Yemen’s internationally recognized government. Among the casualties tallied in the report were child soldiers as young as 11 fighting in Yemen’s civil war and in other countries, the U.N. said. “The point is, these kids should not be treated like children of a lesser God; they deserve the same rights as every kid to live their lives at least meaningfully and to be given a chance at recovery,” said Virginia Gamba, the U.N. special representative for children and armed conflict. The 21,000 violations of children’s rights included 10,000 who were slain or maimed, especially in Iraq, Myanmar, the Central African Republic, the Democratic Republic of the Congo, South Sudan, Syria and Yemen, the report said. The total was a dramatic increase from 15,500 such cases counted in 2016. “The secretary-general is outraged at this number, a significant increase compared to previous years,” said his spokesman, Stephane Dujarric. Almost half the 881 verified child casualties in Nigeria resulted from suicide attacks, including the use of children as human bombs. Over 1,900 children were detained because of their or their parents’ alleged association with the Boko Haram militant organization. Children in Myanmar, South Sudan, Syria and Yemen were prevented from receiving life-saving support.